A Dutch Cow predicts that Ajax will triumph against Manchester United in the Europa League final in Stockholm this evening. Sijtje the psychic cow, apparently, has an 85% strike rate for predictions. 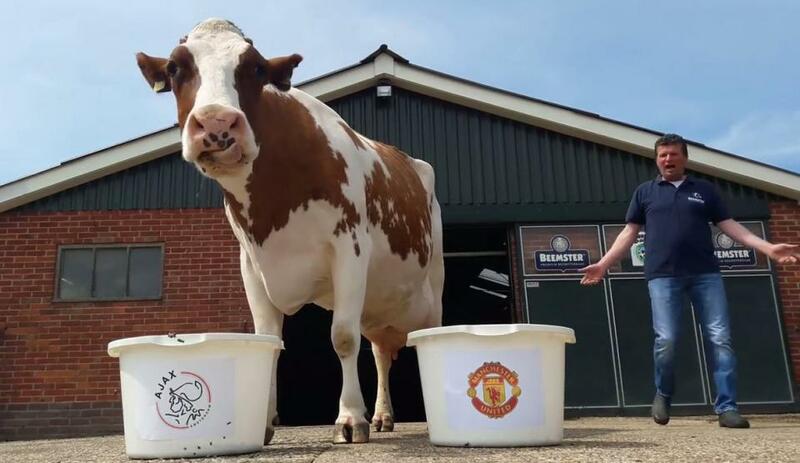 Obviously I cannot verify the contents of each bucket, or whether in fact Man U bucket was empty, but with odds of 4.5 offered on Ajax, and the unconvincing way Man United have reached the final, I am going with the Cow ! !